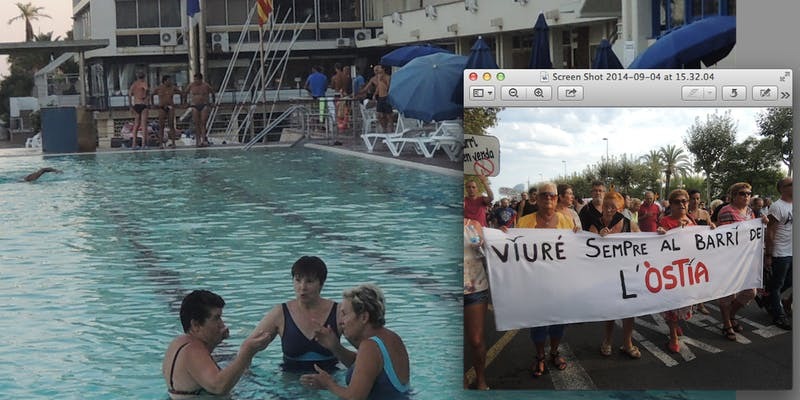 The origins of the project start almost a decade ago in Barcelona's sea side and near the swimming pool of this image where three ladies are talking. Are they gossiping? No! They are conspiring!! “To dilate his line of thought, we could move countercurrent to the institution, not by forming another organisation, but by saying, as Thek does: Let me nurse you. Let me defend your body and your spirit. Let me bathe and bury you." I hope to see some of you at Five Years on Sunday the 10th and get to conspire once more! !